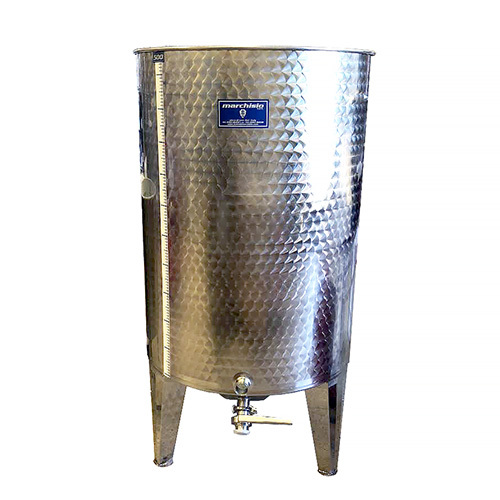 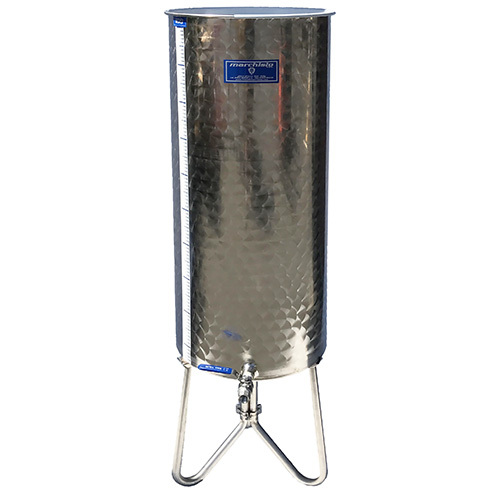 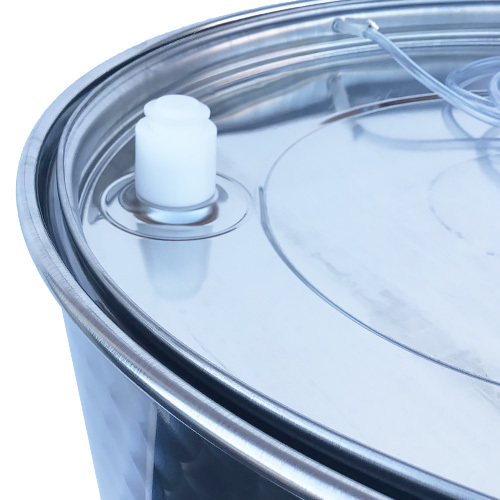 Marchisio's Variable Capacity Wine Storage Tanks On Legs with Dish Bottom and Drainage Well are made of 304 Stainless Steel, includes a stainless lid with Elastollan inflatable tube, TankToppr™ airlock riser, two 2" Tri Clamp ports and one Tri Clamp butterfly valve. 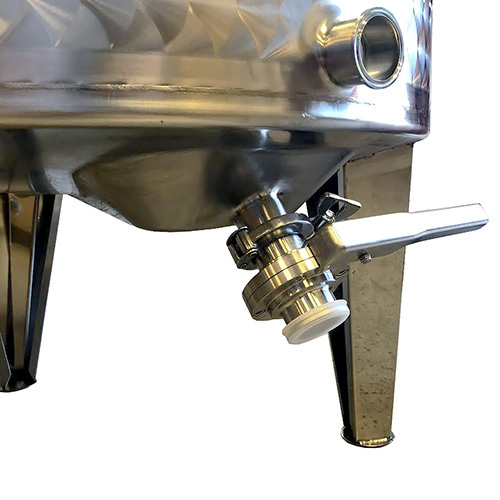 This tank is fitted with two 2” Tri Clamp ports near the bottom of the tank, with a 2” stainless butterfly valve installed on the lower port. 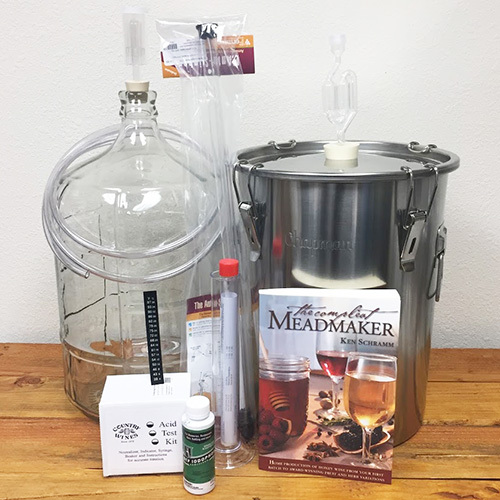 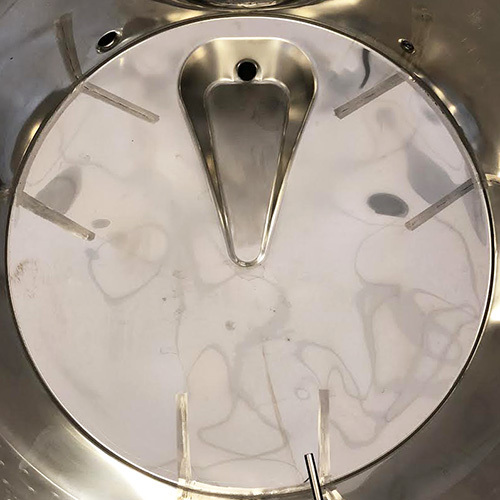 To connect your butterfly valve to a hose, you will need an additional clamp, gasket, and appropriate tri clamp fitting to suit your winery's plumbing design.